These sayings about nature are all words of positive inspiration from unknown sources. 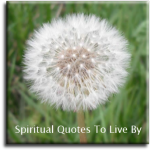 For quotes from known people please take a look at the Nature Quotes page. 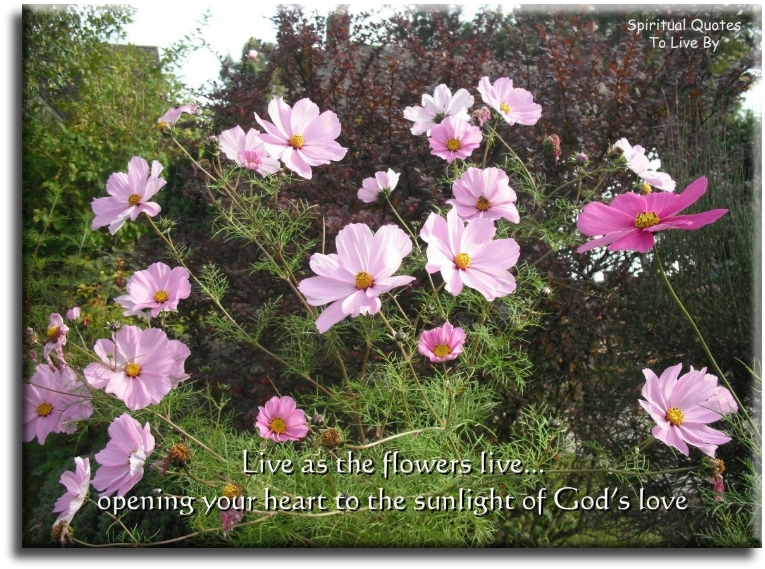 A friend is the one who overlooks your broken fence, and admires the flowers in your garden. Daisies of the world unite… you have nothing to lose but your chains. Every flower gifts us with the reminder of how truly magnificent and beautiful this planet is. Every sunrise is a message from God. Every sunset has His signature. Flowers are loves truest language. For some people, a tree is something so incredibly beautiful, it brings tears to the eyes. For others, it is just a green thing that stands in the way. Heaven seems a little closer when you are near the ocean. I'd have a garden to walk in forever. If kisses were snowflakes.. I'd send you a blizzard. 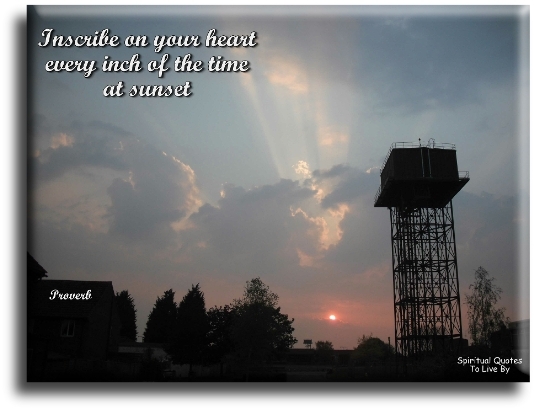 Inscribe on your heart, every inch of the time at sunset. In the working of a garden you discover much... as you watch the things you plant respond to nature's touch. You are learning all the time and never do you tire of trying to create the garden of your heart's desire. May you touch dragonflies and stars, dance with the fairies and talk to the moon. Nature - cheaper than therapy. Nature has given to every time, place and season, splendors of its own. Nature is perfect wherever we look. Nature is the supreme masterpiece. Nature produces the greatest results with the simplest means. On the canvas of life, we often go off colour, but as long as there are special people to add the right shades.. life goes on to be a rainbow. Plant a little love.. watch a miracle grow. 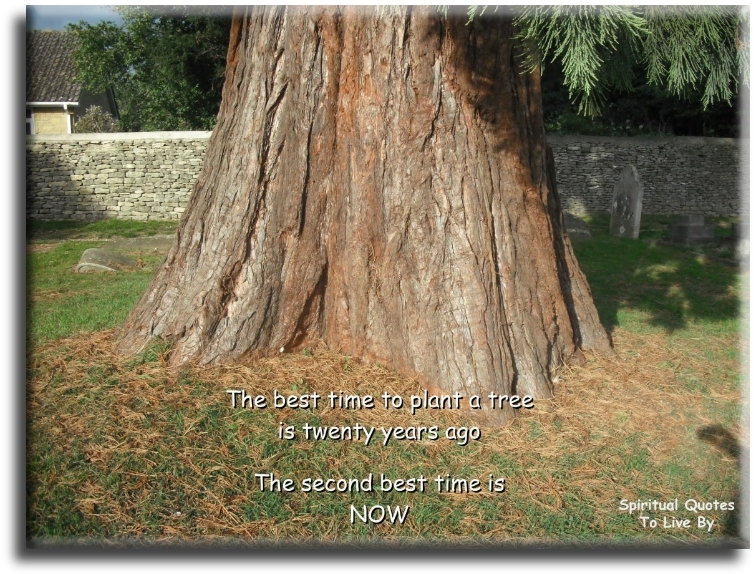 Plant the seeds of your new intentions. Nourish them with tender care. 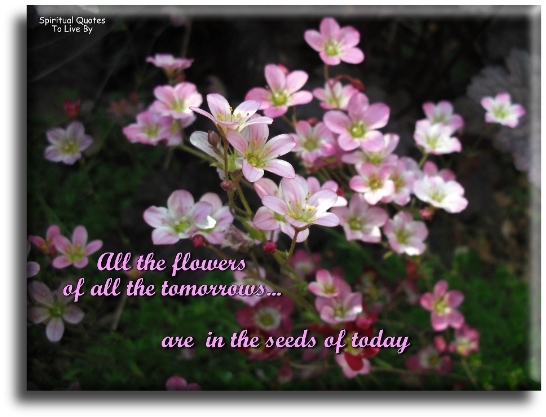 And they will soon manifest in abundance. Respect all life... For all is of God. 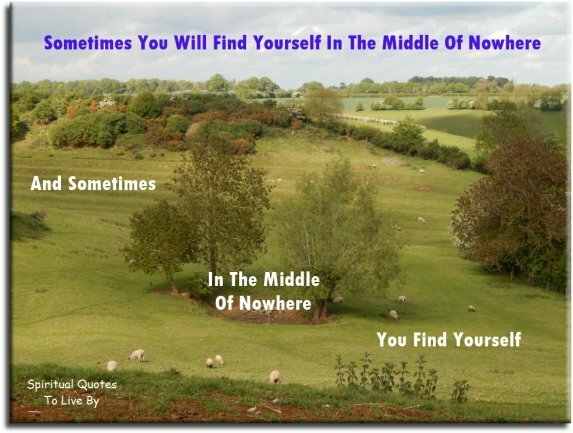 Sometimes you will find yourself in the middle of nowhere.. Sometimes, you need to step outside, get some air and remind yourself of who you are and who you want to be. 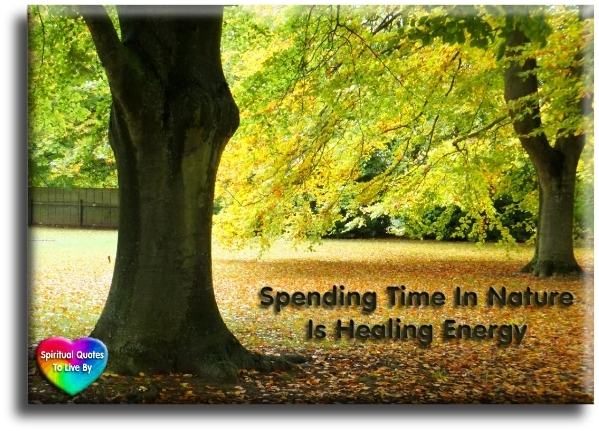 Spending time in nature is healing energy. Take a walk, not a pill.. The side effects are much prettier. The animal. vegetable and mineral worlds are always connected to their source. The second best is now. 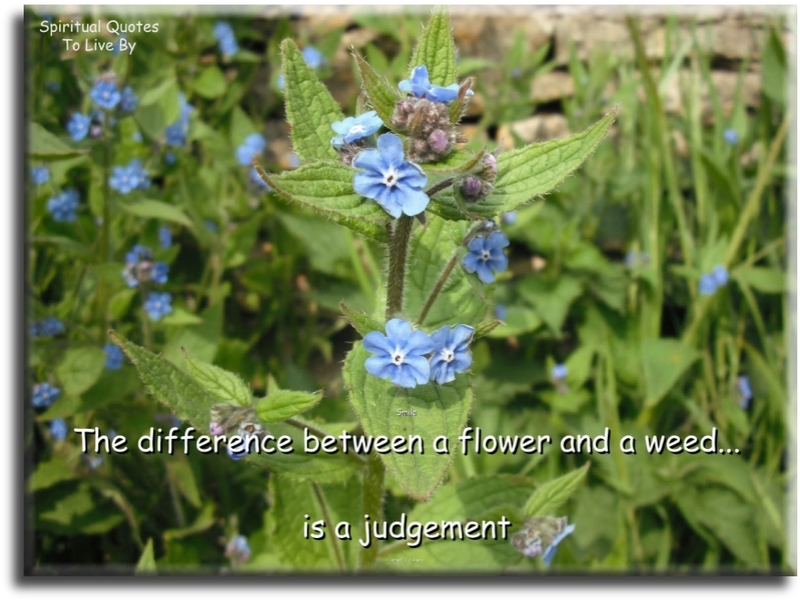 The difference between a flower and a weed is... a judgement. The grass is greener.. where you water it. The chrysanthemum in autumn and the peach blossom in spring. When it rains... Look for rainbows. When it's dark... Look for stars. When you look at a field of dandelions, you can either see a hundred weeds or a hundred wishes. When you throw dirt.. You lose ground. 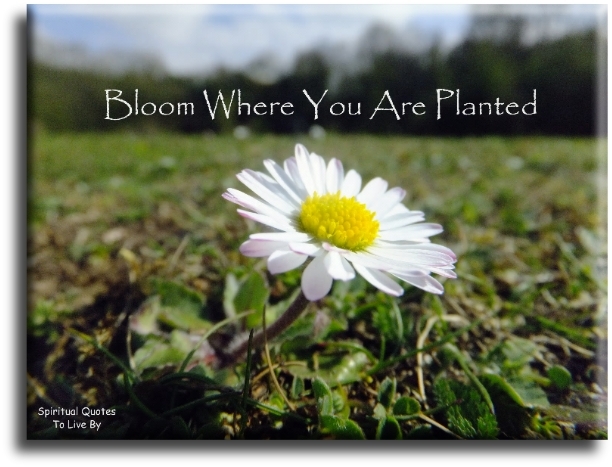 Whether you grow something from seed or merely clip a perennial shrub, the contact with the wonders of the natural world will lift your spirits and the workings of Mother Nature will never cease to amaze you. 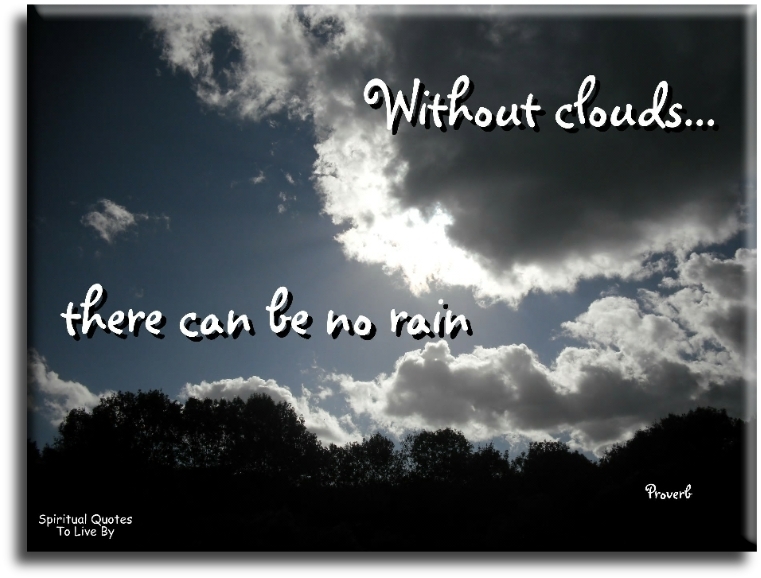 Without clouds... there can be no rain.